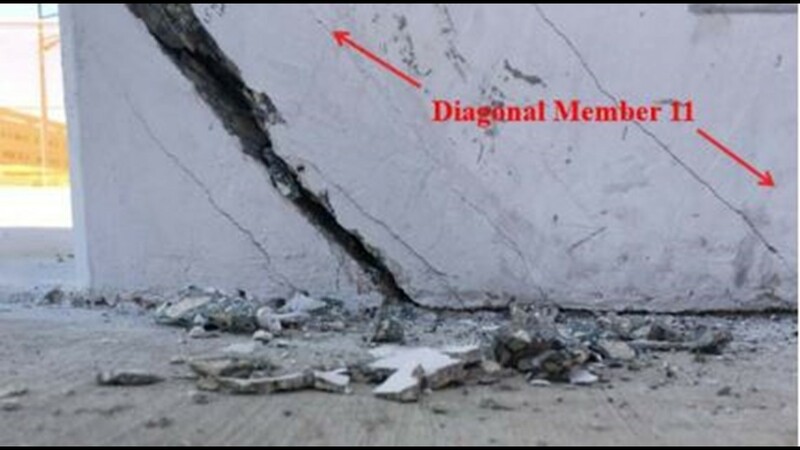 Photos taken Feb. 28 show cracks in the bridge before it was taken to the construction site. 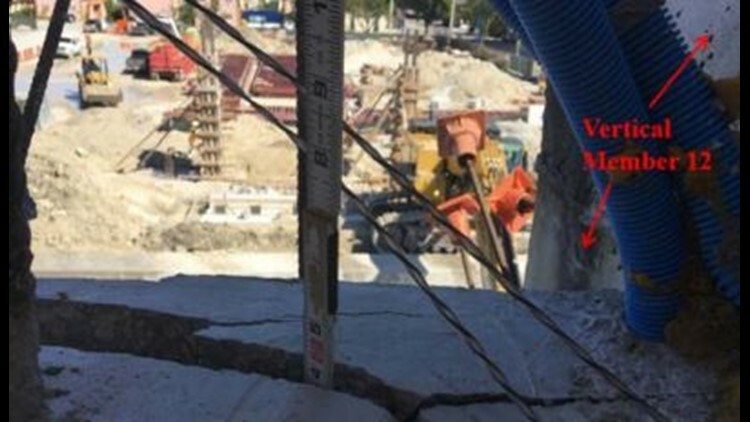 The photos showed the bridge was cracked after it was moved to the construction site. 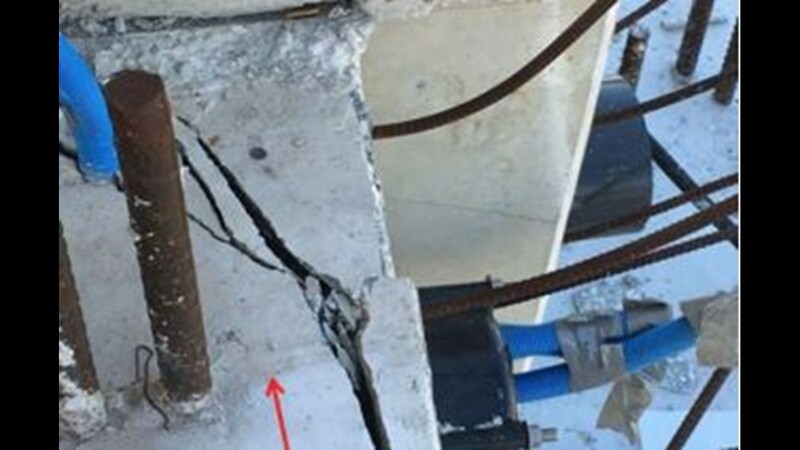 Investigators have released photos showing cracks in a Miami pedestrian bridge before it collapsed in March, killing four people. Thursday, the National Transportation Safety Board released an update on its investigation into the collapse. The preliminary report focuses on tests that have been done on concrete and steel samples taken from the bridge, that fell on March 15 near the Florida International University. The NTSB has also looked at a steel tensioning rod and a hydraulic jack that was used to tension rods on the bridge. The jack was damaged in the collapse, but tests were done to see if it could have applied maximum force. The report says the tests "have, thus far, not indicated any notable material issues." 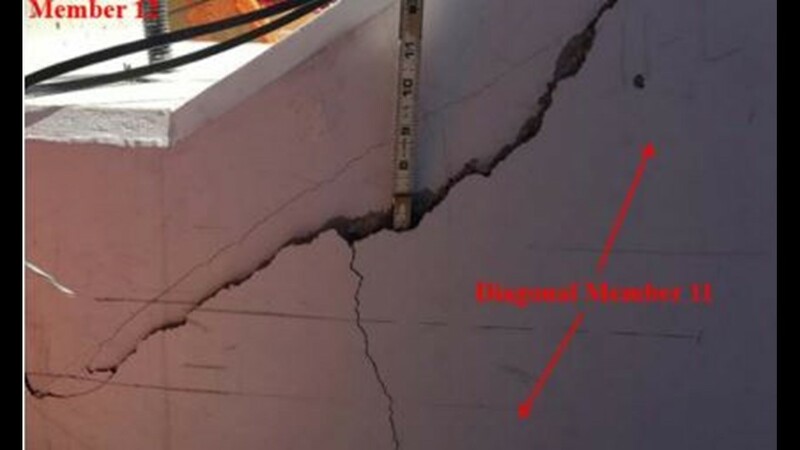 The report includes several photos showing cracks in the north side of the structure. The photos were taken after the bridge was moved from its casting yard to the construction site on March 10. Investigators have also spoken to employees at several companies involved in the bridge project.